Pada Hari Minggu dan Hari Libur semua jenis kendaraan dilarang untuk masuk. 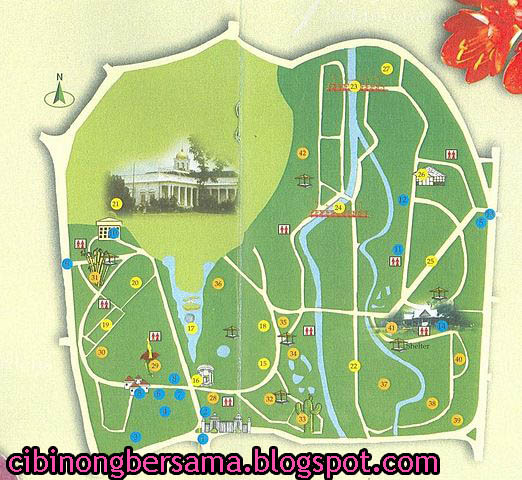 Currently Bogor Botanical Gardens already crowded and much visited as a tourist spot, especially on Saturdays and Sundays. The surrounding area of ​​the Garden scattered several scientific centers, namely Herbarium Bogoriense, Bogor Zoological Museum, and References. 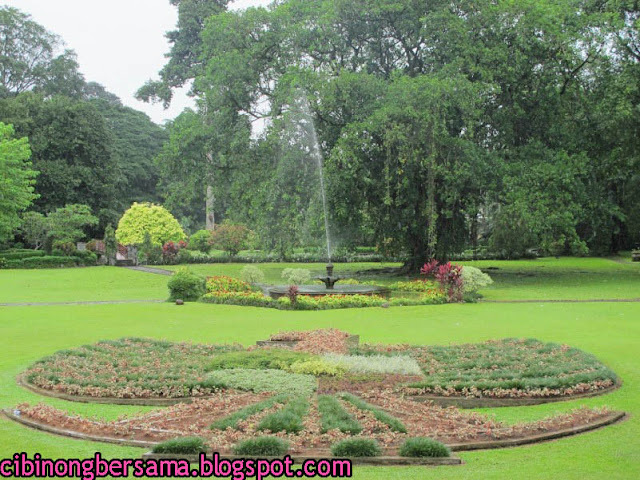 Bogor Botanical Garden was originally a part of the 'samida' (artificial forests or artificial garden) which has existed since at least the government of Sri Baduga Maharaja (King Siliwangi, 1474-1513), which comes from the Kingdom of Sunda, as it is written in the tablets Batutulis. Artificial forest was created with the purpose for the purposes of preservation of nature and the environment as a place to nurture the seeds of rare wood. Samida beside it also made a similar samida Cianjur location on the border with Bogor (Forest Ciung Wanara). The forest then left just after the Kingdom of Sunda subdued with the Sultanate of Banten, until Governor-General van der Capellen build a vacation home in one of the corners in the mid 18th century. Carrion flower (Amorphophalus titanum) is one of the main attractions of the Garden because when approaching the flowering time will emit a pungent smell of carrion. This interest have reach heights of up to 2m and also the compound interest of the largest in the world of plants. The oldest palm trees in Southeast Asia and is still alive today. At the time of Sundays and holidays, the Garden will be very crowded at all visitors. Special tickets for Foreign Tourists Rp. 25.000, - / person. Roving Vehicle Wheels 4 USD. 30.000, -. Parking Vehicle Wheels 2 Rp. 5.000, -. Bicycle tickets Mobile Rp. 5.000, -. Admission is included Insurance Prog Sign Distribution municipal government and the Zoological Museum. On Sundays and Holidays of all types of vehicles are prohibited from entering.